Written by Michael Ehline on January 19, 2009 . Posted in Law Office Study Program. 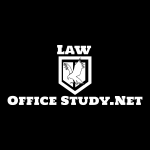 My name is Kim Nguyen, I read your blog http://lawofficestudy.net/2006/12/how-to-become-lawyer-without-law-schoo/. I am extremely interested in becoming a lawyer without attending law school and be enrolled in the California State Bar Law Office Study Program. I also read that there was only 80 students who enrolled in this program. Just a little about me, I graduated HS in 2003 and started my career in real estate in 2004 so that I would be able to afford my college tuition and not be completely broke after I graduated college. And I was unwilling to trade my time to get paid only $7/ an hour. After my first year of Real estate I liked it so much and put my schooling in the back burner. I got my Broker’s license in January 2008 and opened my own real estate corporation in August 2008. I still have a passion for law and want to still become a lawyer one day. I ran into your blog and was really excited about this program. I have browsed through the California Bar and wanted to see if you can help me do what you did. I appreciate you reading my letter, and look forward to hearing from you. My Response: Honestly, most everything is already in the original blog. As far as helping you do what I did, all I can do is give you a firm statement and example that you can do it. Yes you can. In order to be on the LOSP, you need a lawyer to teach you who has been in practice at least 5 years. I am only in about 4 years, so I simply cannot teach you. I read on your blog that I would have to contact the lawyer in the field of law that I want to be in. Does the lawyer who I study under only needs to have 5 years of experience? Is there any other requirements? If the lawyer who is willing to help me with this program does not have any experience can he/she still do it? How do I take the CLEP exam ? Once I pass that how many hours in a month must I study with the lawyer? Are there specific tests that the lawyer must adminstered to submitt to the California Bar. If so how where can we get this information? You don’t need to contact a lawyer in the field you want to be in, unless that is what you want to do. You can study under any qualified lawyer. To take the CLEP, I recommend you get a crash course such as Barrons, and then take it ASAP, unless you already have a BA, BS, or equivalent. Yes I believe it was 18 hours per week of actual study and 6 hours required in the presence of the lawyer. As far as tests go, the lawyer has to create the tests. There are no canned tests.